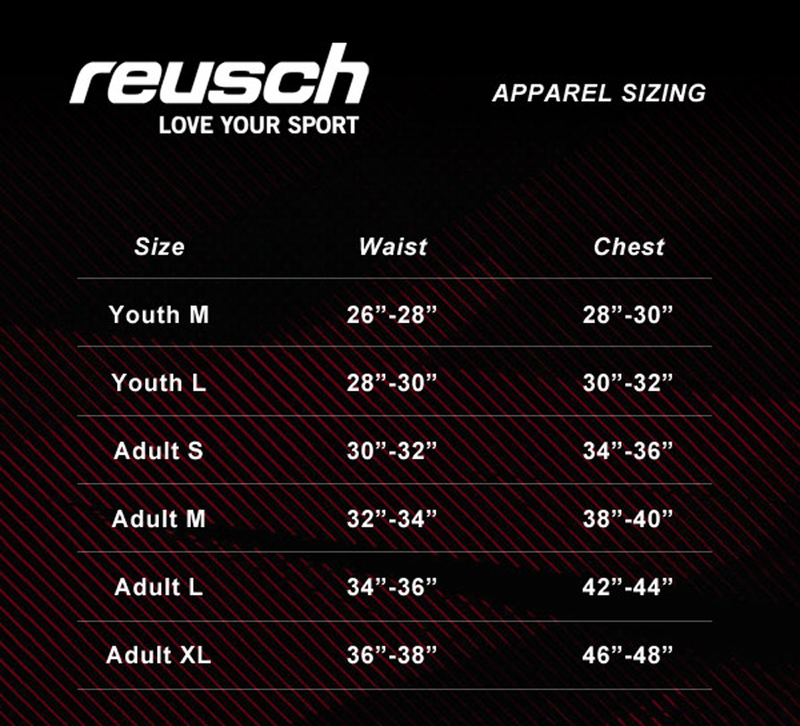 Reusch Apparel Sizing: We find that the Reusch clothing fit's true to size. The padded goalkeeper pants are designed for a looser fit in leg width. The waist circumference and leg length is true to size when compared to other goalkeeping brands. The Pro Fit jersey line has a more snug fit through the chest and body.